Redshirt senior Tyler Sullivan takes a swing at the baseball during a game against the University of Pittsburgh at Johnstown. Sullivan was third on the team in hits this season with 50. Photo by D.Clark/Setonian. 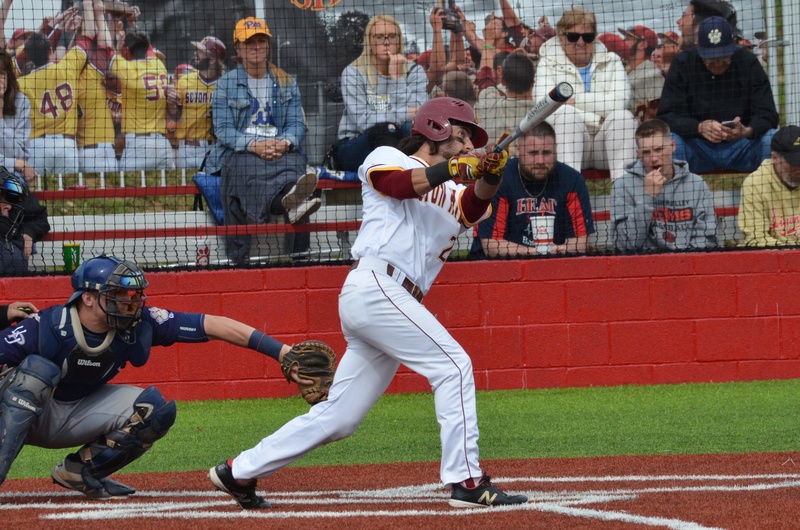 Winning back-to-back championships is no easy feat, but the Seton Hill University baseball team was determined to achieve success once again this season. 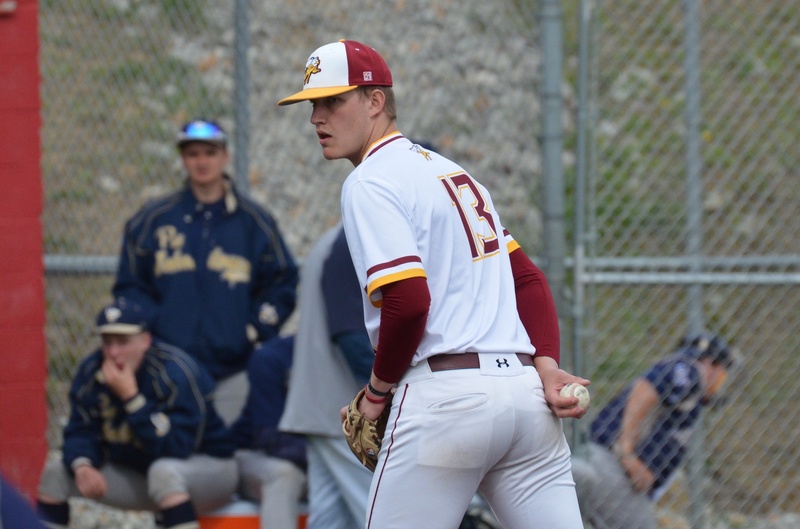 For the second year in a row, the SHU baseball team won the PSAC Championship by defeating Millersville University on May 12 by a score of 5-1, making them the first team to win back to back championships since Kutztown University in 2005 and 2006. After winning all four games in the PSAC Tournament, the Griffins automatically earned a spot in the NCAA Division II Atlantic Regional for the ninth straight season. Redshirt freshman Michael Bryja prepares to pitch the ball during a game this season. Bryja threw a complete game shutout against Millerville University on May 21, which sent the Griffins to the NCAA Division II Atlantic Regional Final. Photo by D.Clark/Setonian. After going 3-1 in the regional tournament, the Griffins were eliminated by Mercyhurst University on May 21 in the final round by a score of 4-2. The team finished the season with an overall record of 34-22 and a record of 17-11 in PSAC play. One pitcher in particular recently caught the attention of the MLB: Perry DellaValle was drafted this week by the St. Louis Cardinals as the 19th pick in the 27th round of the draft. DellaValle is the third Griffin in school history to be drafted by a MLB team and the highest draft pick of those three. 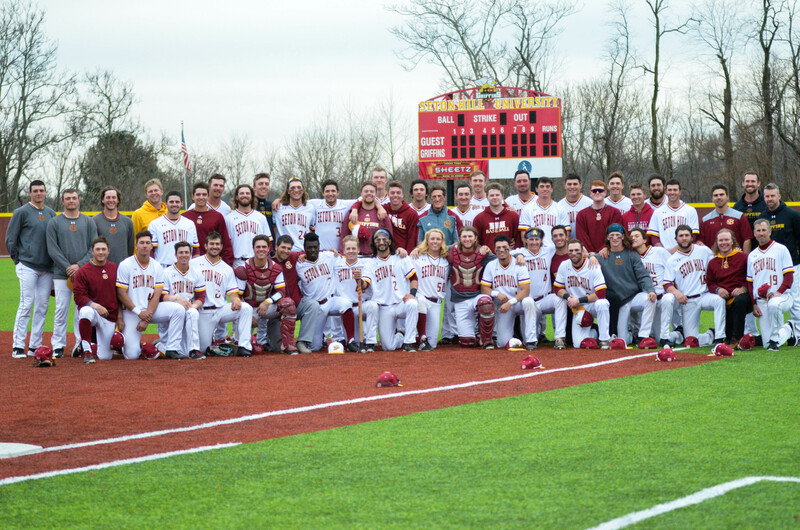 Pictured above is the Seton Hill University baseball team. The Griffins, who finished their season with a record of 34-22, won their second consecutive PSAC Championship this year and advanced to the NCAA Division II Atlantic Regional Tournament for the ninth year in a row. Photo by D.Clark/Setonian. DellaValle is among the number of Griffins who recently graduated from the team, but Marizzaldi believes the baseball team will still be able to achieve success in the 2019 season.